Dr. Rod Carr joined Jade Software Corporation in 2003 after a distinguished career in the banking sector, most recently as the Acting Governor of New Zealand's central bank, the Reserve Bank of New Zealand. During a five-year career at the Reserve Bank he played a key management role as a director and Deputy Governor, including five months as Acting Governor. Prior to this Dr. Carr was a senior executive at the National Australia Bank (NAB) in Melbourne, Australia. During his 11-year career in commercial banking, Dr. Carr worked in senior executive and management roles spanning many aspects of the business. 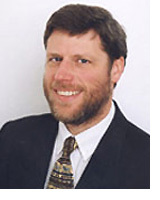 Dr. Carr holds a PhD in Insurance and Risk Management from The Wharton School, University of Pennsylvania. He is involved in several private and public companies as a director including Lyttelton Port Company Ltd, Taranaki Investment Management Ltd and ORIX Australia Corporation Ltd. Dr. Carr is a member of the Advisory Board to the University of Canterbury College of Business and Economics and was elected as a Director of the Canterbury Employers’ Chamber of Commerce in 2006. In 2005 Dr Carr accepted an invitation to become a Fellow of the New Zealand Institute of Management and in 2006 Dr. Carr was named NZ Hi-Tech Company Leader of the Year.